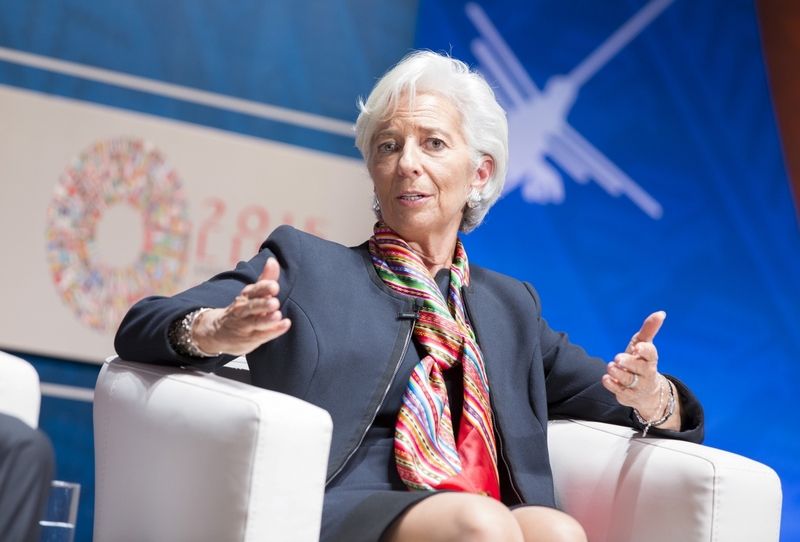 Christine Lagarde–a Paris native who has held her position at the IMF since 2011–says the only substantial problems with existing cryptocurrency are fixable over time. Let us start with virtual currencies. To be clear, this is not about digital payments in existing currencies—through Paypal and other “e-money” providers such as Alipay in China, or M-Pesa in Kenya. Virtual currencies are in a different category, because they provide their own unit of account and payment systems. These systems allow for peer-to-peer transactions without central clearinghouses, without central banks. IMF experience shows that there is a tipping point beyond which coordination around a new currency is exponential. In the Seychelles, for example, dollarization jumped from 20 percent in 2006 to 60 percent in 2008. So in many ways, virtual currencies might just give existing currencies and monetary policy a run for their money. The best response by central bankers is to continue running effective monetary policy, while being open to fresh ideas and new demands, as economies evolve. For example, consider the growing demand for new payment services in countries where the shared, decentralized service economy is taking off. This is an economy rooted in peer-to-peer transactions, in frequent, small-value payments, often across borders. Four dollars for gardening tips from a lady in New Zealand, three euros for an expert translation of a Japanese poem, and 80 pence for a virtual rendering of historic Fleet Street: these payments can be made with credit cards and other forms of e-money. But the charges are relatively high for small-value transactions, especially across borders. Instead, citizens may one day prefer virtual currencies, since they potentially offer the same cost and convenience as cash—no settlement risks, no clearing delays, no central registration, no intermediary to check accounts and identities. If privately issued virtual currencies remain risky and unstable, citizens may even call on central banks to provide digital forms of legal tender. So, when the new service economy comes knocking on the Bank of England’s door, will you welcome it inside? Offer it tea—and financial liquidity? This brings us to the second leg of our pod journey—new models of financial intermediation. One possibility is the break-up, or unbundling, of banking services. In the future, we might keep minimal balances for payment services on electronic wallets. The remaining balances may be kept in mutual funds, or invested in peer-to-peer lending platforms with an edge in big data and artificial intelligence for automatic credit scoring. This is a world of six-month product development cycles and constant updates, primarily of software, with a huge premium on simple user-interfaces and trusted security. A world where data is king. A world of many new players without imposing branch offices. Some would argue that this puts a question mark on the fractional banking model we know today, if there are fewer bank deposits and money flows into the economy through new channels. How would monetary policy be set in this context? Today’s central banks typically affect asset prices through primary dealers, or big banks, to which they provide liquidity at fixed prices—so-called open-market operations. But if these banks were to become less relevant in the new financial world, and demand for central bank balances were to diminish, could monetary policy transmission remain as effective? Could monetary policy transmission remain as effective? Hopefully not. Amazing! A central bankster sees the light. Maybe soon, she’ll also feel the heat. Right now, I see only two things sustaining the value of fiat currencies: Governments will only accept their own currency units for payment of taxes (which everyone is theoretically responsible to pay), and other citizens within that country are forced to accept payments in those same currencies under threat of Legal Tender laws. I hope Lagarde is right in her assessment, and that we can get rid of the middlemen once and for all.